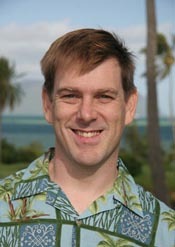 Rob Toonen is a biologist at the Hawaii Institute for Marine Biology where his current research focuses on the processes that influence dispersal and recruitment in coastal marine invertebrates, with a particular interest in the evolutionary consequences of larval developmental modes among marine invertebrates. He holds a PhD. from the University of California, Davis and is well known to the marine aquarium world via his numerous published articles in Aquarium Frontiers On-line and Advanced Aquarist magazine. He is also a frequent speaker at marine aquarium conferences and events. During a recent visit to Hawaii, Reefs Magazine’s contributing editor Tahl Ben-Yehuda had a chance to sit down with Rob and chat about everything from reef ecology to Okinawan karate in Hawaii. RM: So tell us what you do here at the University of Hawaii at ManoaRT: I’m a researcher here, so I’m a faculty member at the University of Hawaii but we have a 100% research appointment which means we’re excused from all teaching and all administrative responsibilities on campus, and are only responsible for training students and doing research. RM: Is it all grant-driven?RT: My salary is not, but all of our research is. So all of the research that’s going on in the lab is supported by research grants. RM: What is your title?RT: It’s the same as a professor, but because I don’t teach, I’m a researcher. We go through assistant, associate, full researcher. I’m an associate researcher. I get to play with all kinds of cool high-tech equipment. RM: What are your research interests here?RT: There are many! Most of our funding is coming through right now to look at protected area design, connectivity, understanding dispersal in the ocean. So where do the larvae come from, where do they go to, how much exchange is there? What are the units that managers need to know when you’re going to highlight areas for conservation – what are the units that you’re trying to protect? Is the entire Hawaiian archipelago a single unit? Which means that if we fish the heck out of Oahu and there’s no fish left here, does it matter because they’re all connected everywhere else? When the next generation comes in, it comes in from everywhere, not just from Oahu? 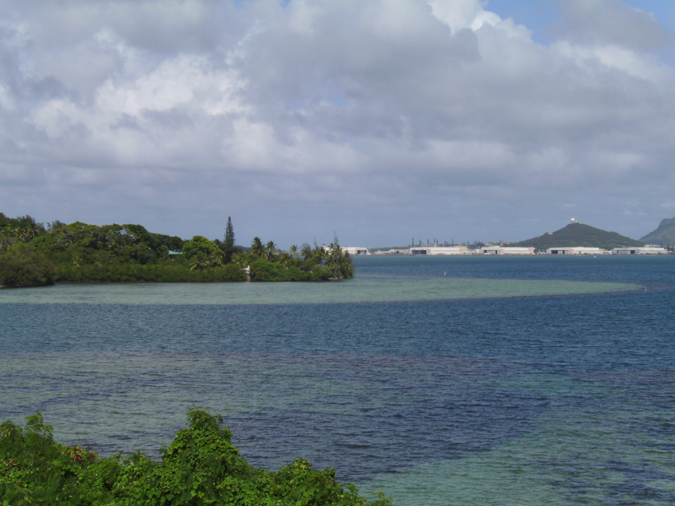 Or is island to island different – and if you fish out Oahu, they’re not coming back until we do something about it? And the answer is – we don’t know. 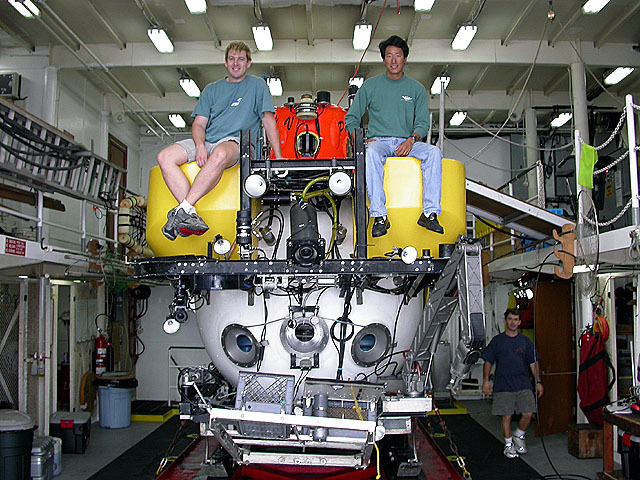 But our group was the first to start doing that research in Hawaii, and we’ve done a fair bit of work on that. It depends what you’re looking at. For most things – at least for the coral reef organisms that we’ve looked at, island by island is more realistic than the entire archipelago. RM: And you’re looking at fish as well as coral and invertebrates? RT: Yeah. So we’re doing about 33 species of each, fishes and coral reef invertebrates. So a grand total of somewhere between 50 and 60 species to have a nice broad view of how much connectivity is there and what are the units. And at a first pass, in terms of the preliminary data that I just presented last week, it looks like there are four big barriers to dispersal. In the Hawaiian archipelago, the Big Island is separate from the middle of the main eight. Kauai is its own unit, and is separate from both the Big Island and the northern cluster of Hawaiian Islands, and then as you get up the chain Kure atoll, Midway, Pearl and Hermes atoll are their own unit as well. And so we have a far end, most of the northwestern Hawaiian Islands, Kauai is its own unit, the central part of the main Hawaiian Islands, and then the Big Island being separate from the others. RM: Really interesting work Rob. Can I ask how you first got interested in marine biology? RT: At some point when I was a kid back in Canada – I have been into aquariums all my life. So I was an aquarium geek…my dad had me with my own tanks, setting up, breeding guppies when I was four years old. He opened a pet shop when I was born, so I was always looking at my own tanks, and every chance I would get, I would go in with him, work in the pet shop, help with the job, help out – I was really excited about it. I was always trying to convince my parents that I could bring something new home. At some point – I don’t know who or where, but somewhere along the line, someone said, OH! You love aquaria – some day you’re going to grow up to be a marine biologist. So I said yes – when I was about five, I said, yes – that’s what I’m going to be! RM: Based on your relationship with the ocean, the animals in it and also with the hobby, what do you wish more hobbyists knew or understood?RT: I think there’s a couple of things. One is that we tend to think that our actions don’t mean anything, and when everyone thinks that way, it adds up to a hell of an impact, and so it’s easy to blame other people and other facts, and not face the fact that the decisions we make every day can have an enormous impact. I was just at a talk where someone that works in the bottled water industry in the United States showed that if we stop drinking bottled water, we could save the millions of barrels of oil a year necessary to produce the bottled water that we drink every day – and we just take this for granted and no one every needs to think about it. Meanwhile, we’re all running around drinking bottled water, and it has more of an impact than our cars. So those sorts of things – the little choices – can make a big difference. And the other thing is that there have been a number of studies that show that the aquarium industry does have an impact. It may be a lot smaller than some other things out there. And most hobbyists, I think, are aware of that, but that doesn’t mean it has no impact. I think we’ve seen a shift in the past five years to where most aquarists now have bragging rights on how much of your tank doesn’t come from nature anymore – how much of it is captive-bred. Those are changes that people are starting to see, and that’s great. RT: But the other thing is that if you take a look at historical information, at some of the historical ecology that people have done, what we’re seeing now in terms of coral reef degradation probably has very little to do with what we’re doing today. It has to do with a thousand years of over-fishing and eating all of the top predators and all of the large herbivores off the reef. And so the fact that reefs under assault – most of what we know about coral reefs has been in an unnatural situation, and so if you take a look at what some paleontologists will tell us is that nobody alive today has ever seen a natural coral reef, we don’t know what one is, there’s no place left on the planet that has not had human impact and that things that would have had no impact a thousand years ago – things like urchin harvest or like that – probably would have made no difference – there were so many urchins. And now something like a Diadema die-off has massive implications for a coral reef, but that’s only because we ate everything that would have served in that niche normally. So again, it comes back to your choices. So what we eat – our seafood choices – feed into what we love and would like to see there, and you may not think much about it when you go out for Chilean Sea Bass, or something like that, and we probably should. RM: So then, in a nutshell would be – just be a whole lot more aware!RT: yeah. I think we’re becoming more aware all the time of how interconnected everything is. You know, we don’t think much about how…. We think … for a long time, people thought the ocean was this vast, absolutely unharvested – you know, you could NEVER catch ALL the fish in the sea… But we’re working on it! RM: Changing gears a little bit… What do you like to do when you are away from the lab and away from the water? RT: Well, I don’t get away from the water very often here in Hawaii, but the two things that I enjoy the most are spending time at home with my family, hanging out with them. I have two kids, a five and a half year-old, and a two and a half year-old, and they’re a lot of fun. Two sons. Hanging out with the guys is just fun stuff, and they’re just getting old enough where they’re enjoying helping doing home renovations, and that sort of thing, and that I really just love. RT: Not really away from the water, but going out in the field and doing my research, actually, is one of the things. I just came back from a month-long cruise in the northwestern Hawaiian Islands. Being out on a research boat on a month away from everyone, and just remembering why I started doing this in the first place is pretty spectacular. RM: What is the most challenging aspect of living on an island 3000 from any mainland?RT: I don’t know. I mean, a lot a people talk about getting island fever, and I have the exact opposite. When I go to the mainland, I can’t wait to get back! I love Hawaii, I love living here, I love being separate from all of the stuff that people sort of tend to enjoy on the mainland. Big cities are not for me. Kailua is the biggest city that I’ve ever lived in all my life. And by most standards, it’s only a town. So I’m not a really big-city person and I don’t have many challenges. RM: How do you cope with not being able to watch most live sports at a reasonable hour?RT: I don’t really follow sports so much. Like if you asked me about baseball, I couldn’t tell you one team from another. RM And I was going to ask you if you are a Yankees fan or a Mets fan! …On the other hand, living here in Hawaii, the only footwear you ever need is flip-flops. RT: So this weekend we had friends in town from the mainland, and we went for a hike – we had to climb the mountain, and I climbed the mountain barefoot. RM: Over the a-a (Hawaiian for the igneous rock that dried quickly and is therefore all jagged and rips up the tender soles of those of us who did not grow up walking over it…)? You climb over a-a barefoot?! I don’t even know how to spell a-a, but I’ve stepped on it, and OUCH!RT: The locals refer to that as “haole feet.” RM: Yes, I have them. (“haole” literally means a white person, but is usually used to imply not-from-Hawaii)RT: That’s the thing – you start to get used to it and at this point, I would have to buy a pair of shoes to go to the mainland, because I don’t own any. RT: You know, I thought about it, and the only sports that I know anything about is martial arts, because I do martial arts as well. RM: Are martial arts popular here?RT: Yeah. 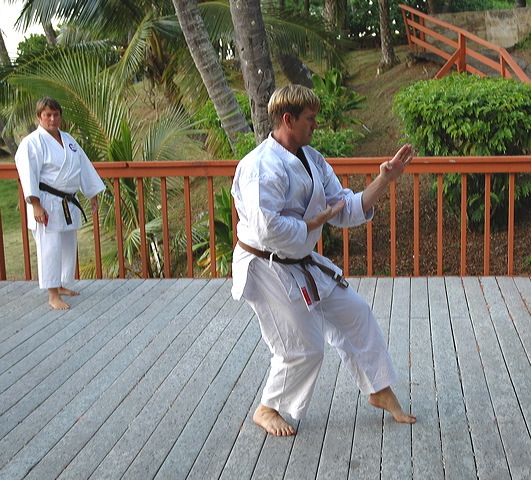 Actually, the Okinawan Karate has a huge and very ancient history here in Hawaii. There’s a lot of exchange here. And some of the best-known Okinawan Karate masters either trained or left their most senior students in Hawaii. So there are some amazing Okinawan Karate masters here. None of which have commercial schools – they don’t and won’t take students – you have to be recommended to them. It’s a very rich traditional martial arts community here in Hawaii. RM: That’s very beautiful.RT: I’ve been doing it for a while. It’s one of those things that I do for recreation. RM: Do you think you’ll stay here?RT: I think so. You know, when you first move to Hawaii, it’s all beautiful and everything is shiny and new and spectacular, and then the silver lining wears off, and you start to realize that there are lots of challenges living in Hawaii. But by the same token, I can’t imagine a better job anywhere – I really just hit the lottery with my position here. I’ve got a tenured faculty position where I don’t have to teach! RM: That’s pretty spectacular. The Coconut Island research facility. Photo by Tahl Ben-Yehuda. RT: Yeah, there aren’t many of those. So I can do whatever research I want. It’s one of the most amazing research facilities right beside a live coral reef – there is nowhere else in the world that has the capabilities that we have, right beside live coral. Even in Australia, you have to get out to the Great Barrier Reef – you’re an hour away from the nearest coral reef! And we are right beside a sidewalk and then the reef is right there! So that’s something that is really amazing that we have capabilities that no one else on the planet has and I’ve got fantastic colleagues that I really enjoy. I like to work with them, I love my job, and until that changes, I don’t plan on going anywhere. 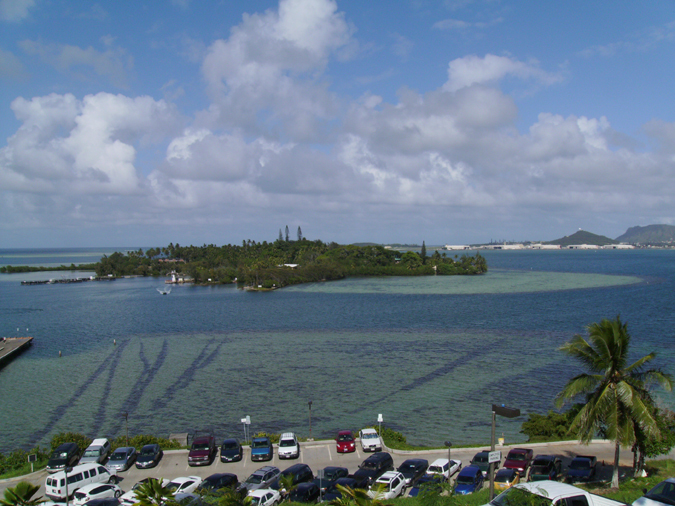 The fringing reef off Coconut Island is very close to shore. Photo by Tahl Ben-Yehuda. The fringing reef affords unique opportunities to observe diverse invertebrate communities without the need for lengthy travel. Photo by Tahl Ben-Yehuda. RM: If you could go anywhere to do or see anything on vacation, where would you go and what would you see?RT: The two places that keep coming up that I want to go and see Sulawesi, and Bali. I’ve heard so many people talk about it, and looking at Larry Jackson’s photos – it just looks spectacular. It’s somewhere outside of the realm of anywhere I’ve been diving, so that’s something I really would like to do. RT: I would really like to go and visit Southeast Asia and experience some of the cultures, the food, traveling around. Those are two things on my list I have not done. RM: I have to say, they’re both on my list as well! So, you’re a father of young children. What advice do you have for your sons about the ocean, the planet and life in general? RT: The thing that I always try to convince them of is to think about choices, because we all fall into the trap. After all, it’s a lot easier to just grab something and not think about it. And that makes trash, and okay, where does that go? And so things that are as simple as taking juice packets for the kids instead of sippy cups that you have to prepare, and you have to wash them… Okay, but I try to do that. And it’s work, but it’s one less plastic thing that ends up – I don’t know if you’ve seen any of the photographs of the northwest Hawaiian islands, but the amount of trash that piles up is just absolutely astounding. You’re 2000 miles from the nearest people, and the beach is absolutely covered, buried in trash. It’s depressing. And the amount of plastic that’s in the water – and if you’ve been somewhere that’s so incredibly remote and seen how much garbage is piled up everywhere – it’s really sobering! It really made us think about – okay, not all of this stuff was intentionally thrown into the ocean. But it all ended up here on a beach, 2000 miles away from the nearest person. RM: not 2000 miles away from the U.S. mainland. RT: Right. That’s the thing. This is one of the most remote island chains on the planet. You’re 2000 miles away from inhabited island. And you’re out there and it’s totally covered with garbage. It’s depressing. So that’s something that I try to – I guess for me, the two most important things that I keep trying to tell my kids, and they’re young, so hopefully the message will stick, is think about what we’re doing and when you make those easy choices, try to stop and think about it. And the other thing is that we all get so busy and so wrapped up in ourselves that we forget about our impact on people. So try to think about it, put yourself in someone else’s situation. Think about how it’s impacting them. It’s easy for people in the U.S., where we have our quality of life and our level of resource consumption. Per capita, we are what’s driving global warming, not the people in the Pacific Islands. Some of these people are living the way that people did 300 years ago. Those people are going to be under water in 100 years. Their island will cease to exist, their nation won’t be there thanks to global warming and climate change, and it’s pretty easy to say, okay, well move them. But think about that for, let’s say, New York. Let’s up and move you, because someone else’s country is going to bury you. It’s a little bit harder to be so glib about it that way. RM: Absolutely. So that feeds very nicely into my last question. On the whole, do you feel upbeat and hopeful, or kind of depressed about the future of the ocean reefs?RT: I’m actually pretty hopeful. I just gave a talk last week at a conference, and I did a session with a bunch of people saying, what is the future of the coral reefs in the Pacific Islands. There were a whole bunch of people giving talks on the effects of global warming, and the effects of climate change and ocean acidification, and we study one factor. We study temperature, or we study pH, you know, or we study calcification rate. And we talk about – you know, reefs will cease to exist in 50 years. You know, that’s the latest prediction. RM: Yeah, unfortunately I do. 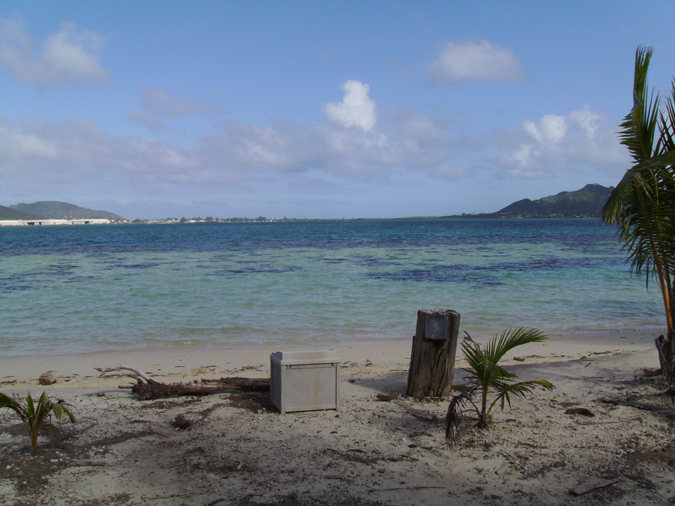 Corals can be found literally steps from the research facility. Photo by Tahl Ben-Yehuda. RT: And I just don’t believe it. Coral reefs have been here, they’ve been through much more extreme climates. Granted, they haven’t had the rate of change that is going on now, and all of the insults that we’re piling on them, but the fact is that we all think we’re a lot smarter than we really are, and we can’t predict how natural systems react. Anyone who’s kept an aquarium knows that systems are incredibly complex. If they were simple, everyone on the planet could have a beautiful tank, but they don’t. And the reason for that is that there are so many weird interactions. And the interactions are so complex and so non-linear that you change one thing and all sorts of things happen that you never would have ever predicted. RM: Right. I’m thinking about one person who 99% of the time has a fantastic system, then all of a sudden, one thing begins to tank, and you think – wait, wait a minute! What’s going on??? And you check all your parameters, and still, that one coral is failing, and everything else in the tank is perfect! And no one can figure it out. So you take it out of that tank, put it into a different tank, and it starts getting better and you still don’t know why, because it’s the same water! RT: Yep. And I think that’s going to be true for the oceans, too. I think that life is resilient, and the reason it’s been here on the planet for so long – and corals are a very ancient group – I don’t think they’re going to go extinct. I don’t believe any of the predictions that corals will be extinct in 100 years. RM: I’m so happy to hear that.RT: I think that that’s doom and gloom and people have just given up. And that’s not true. I think that we’re hitting reefs pretty hard. We need to stop doing that. And if we do, I think they’re going to come back. We’ve seen it. They have come back in places where we start to control the insults. The problem is that we’ve been hitting them so hard in so many different places at the same time. There are lots of things that we can do. Stop building golf courses on the seashore that dump sediments on the coral! You know, those sorts of things – we just have to start as a society to say, NO – that’s not acceptable. You can play golf, that’s fine – just do it somewhere else. You know, it doesn’t need to be right on the beach. We don’t need to build houses right on top of coral reefs. The way it’s going now, they’ll all be underwater anyway! Why don’t you sink your money somewhere else? I think that those sorts of things, if we pay a little bit more attention and just say enough’s enough, I think corals will bounce back. And I think that they’re going to be just fine. Even in the Caribbean, where people say the game’s over, there are going to be winners and losers. Clearly, Acropora has done very poorly, even in my lifetime. I remember the first time I went to the Caribbean, and there were beautiful patches of amazing Acropora, and those things are gone. 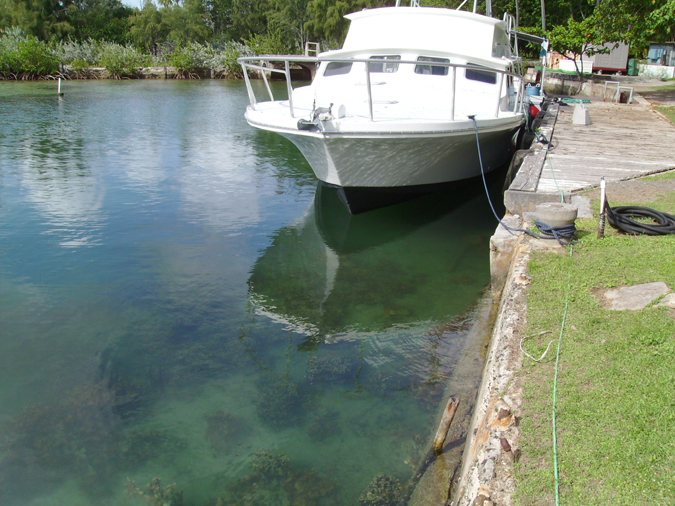 But other corals there are doing pretty well – the “weedy” ones are doing just fine. So I think things are going to change. They are. We can see that. But I don’t think it’s all doom and gloom. RM: Well, that seems like a perfectly upbeat place to end. Thank you so much for taking the time to chat with me. RT: It was my pleasure.